What if you could grow your own insulin at home? 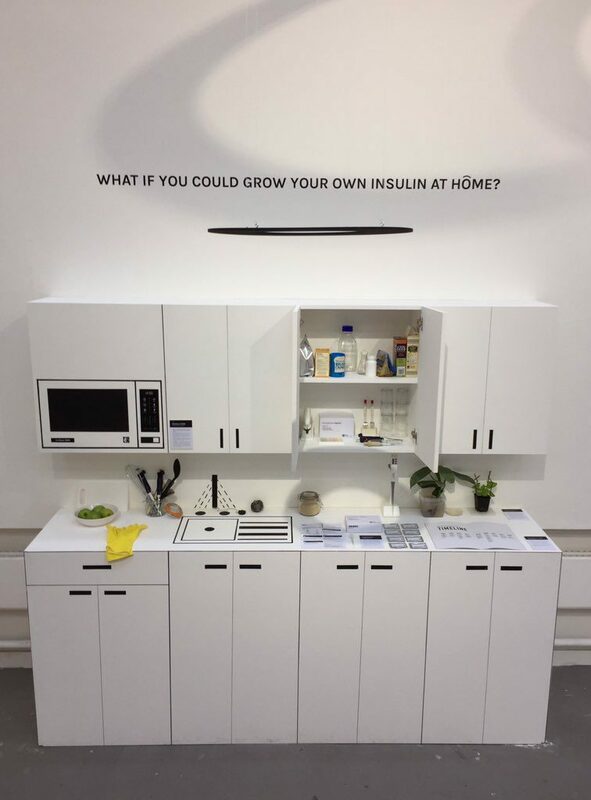 Browse: Home / 2018 / September / 28 / What if you could grow your own insulin at home? Plant Molecular ‘pharming’ (portmanteau of ‘farming’ and ‘pharmaceuticals’) or ‘farming’ is the process of genetically modifying plants to make useful drugs. This technology uses plants to produce large amounts of pharmaceutical substances such as vaccines and antibodies. It relies on the same method used to produce genetically modified crops, namely the artificial introduction of genes into plants. Successful products derived from this practice include human hemoglobin, the ebola vaccine Zmapp, influenza vaccines and a colon cancer antigen, among others. 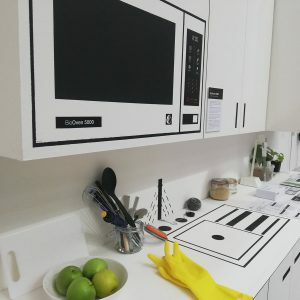 During ‘Everything Happens so Much’, an exhibition held at London College of Communication and part of London Design Festival 2018, three MA students from Service Experience and Interaction Design created an installation to probe people’s reactions to the question: What if you could grow your own insulin at home? It is September of 2030. 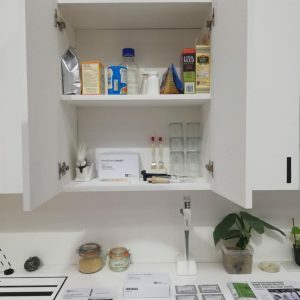 A kitchen counter provokes the audience into considering the possibilities of growing pharmaceutical substances at home. They can examine a number of speculative objects, which build a narrative that starts in the mid-80s. 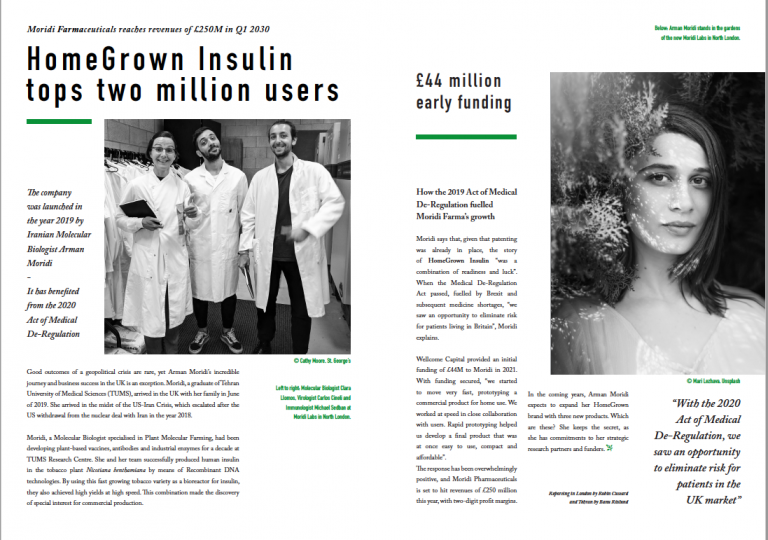 The narrative is based on the entrepreneurial experience of Arman Moridi, an Iranian molecular scientist, and presents a home space where we can grow insulin by means of plant molecular pharming technologies. A number of industrial objects have been developed by the bioscience company Moridi Farma. These allow us to access technologies currently in the realm of research laboratories or biohacker communities. In the kitchen, the BioOven 5000 can perform a Polymerase Chain Reaction (PCR), has an Incubator Shaker and includes an Electroporation function. You can also heat, grill or defrost food. A product called HomeGrown Insulin rests on the counter. It is accessible for home delivery, in a small box with simple instructions. With it, you can grow an Australian tobacco plant widely used in plant molecular pharming and infiltrate it with a plasmid containing your gene of interest, in this case the insulin gene (INS). Then, within two to three weeks, you will be able to ‘harvest’ your insulin. Also on the counter, a September 2030 edition of Bioscience magazine weaves the story of the different speculative objects on display by means of a timeline and a featured article. A number of enablers make the scenario possible, such as deregulation of medicine production and the development of hybrid home-lab equipment for personal use. Also, a critical product has been developed: HomeGrown Insulin. In a timeline interweaving reality and fiction, we discover how shortages of medicines, resulting from a no-deal Brexit, led the UK Government to deregulate the market for pharmaceutical products. Arman Moridi, a London-based exile of the 2019 US-Iran Crisis, provides the scientific nous and business drive to launch a business that thrives on this deregulation. As a result, HomeGrown Insulin and the BioOven 5000 occupy their functional (and fictional) context in the kitchen. In another corner of the counter, wooden spoons, a whisk or a bowl of apples rest calmly alongside pipettes, syringes, test tubes filled with plasmids and petri dishes in which plants, currently domesticated mainy in labs, peacefully germinate. While some scientific aspects remain unsolved in 2018 (e.g. dosage or purification), the installation raises questions on the status quo in manufacture and delivery models for everyday medicines. 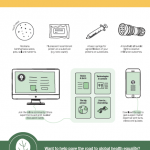 Although the use-case is based in the UK, it also raises issues around access to critical drugs in low income countries. This is relevant, as in these markets, the impact of molecular pharming could increase as the platforms are standardized and optimized for clinical development. This would offer new opportunities to produce inexpensive medicines in regions that are typically excluded by current business models. Feedback from visitors to the installation was positive. A medical student, while understanding towards the limitations regarding dosage, was positive about near future applications for drugs where dosage is not a big issue. 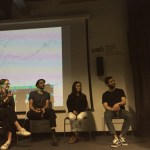 A bioscientist at the launch party suggested the use of this kind of speculation for engagement with publics in other contexts outside design schools, such as biochemistry conferences or outreach events to engage non-scientific audiences with biosciences. Overall, visitors at the installation were at once intrigued, accepting and curious about the possibilities and feasibility of the situation presented to them. The installation has been conceived and executed by Carlos Canali, Clara Llamas (MA Service Experience Design and Innovation) and Michael Sedbon (MA Interaction Design). 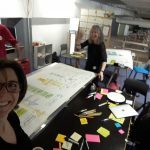 They are doing their master’s degrees final submissions within the context of Pharma Factory, a H2020 research project in which London College of Communication is a partner. All three have conducted ethnographic work at St George’s University, also a project partner, working alongside molecular biologists, biochemists, virologists and immunologists to better understand the context and technologies. Pharma Factory is a research project conceived by molecular pharming companies and researchers, to advance medical, veterinary and diagnostic products. It aims to maximise impact by engaging with all stakeholders from scientists to government and the public at large, developing new tools to facilitate communication and help reduce barriers to acceptance.